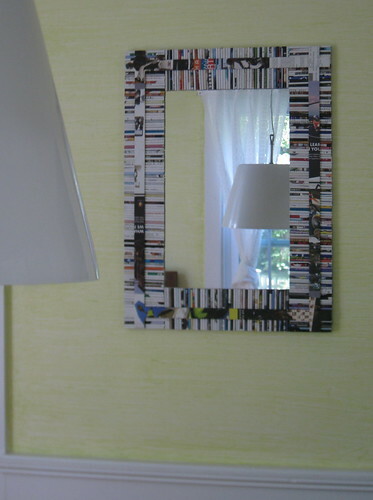 This beautiful (and cool) mirror, made of rolled paper,is now hanging in the dining room at the Cape. 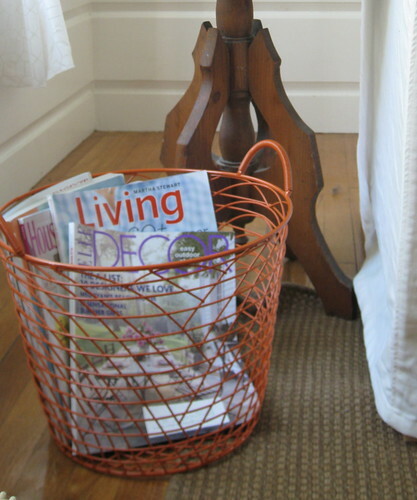 This colorful orange wire basket is great for magazines in an unused corner of the cape living room. A few years ago some good friends gave me a kurta for my birthday, it's from a great little store on Lex on the UES (Upper East Side) called Roberta Roller Rabbit. Every time I wear it I get a multitude of complements and I have absolutely fallen for Roberta Freyman's beautiful block printed fabrics. 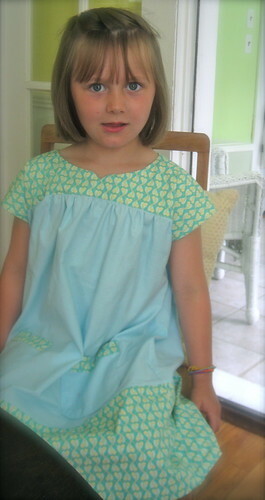 The bright colors are beautiful summer accents, and the cotton is so light and airy. The kurtas pair beautifully with everything from jeans to a bathing suit, and the quilts are so amazingly soft and light, perfect for a summer bed. I have been inspired to challenge myself. Last fall I took a freehand drawing class that I had a love hate relationship with. I loved finding out that I could actually draw pretty well, but I hated having to keep up a sketchbook (we were required to sketch 4-5 pages a day). This was a bit of a challenge for me as I've got the two kids and not much free time to, as my teacher said, sit at a cafe and sketch things I see. My reality was more like sitting a the kitchen table and sketching the dirty breakfast dishes after I dropped the kids at school. However, I just found out about the Sketchbook Project: 2011 Tour. They send you a sketchbook, you fill it with drawings, and send it back by January 15th. Then your sketchbook along with all the others submitted goes on exhibition in a tour that visits Brooklyn, Austin, San Francisco, Portland, Atlanta, and Chicago. How cool it that! Down here we are blessed with more bedrooms than we need but only one and a half bathrooms with limited places to hang wet bath towels to dry. We are also cursed with high humidity, so standard fluffy bath towels just don't dry at all! I solved not drying problem by buying waffle weave towels which are much lighter weight, however the color selection is limited to cream, taupe, grey or white! I only do white, hence the small problem that all our towels look exactly the same. Which is only a small problem with 2 children and 2 adults, but can become a much bigger problem when we have guests. 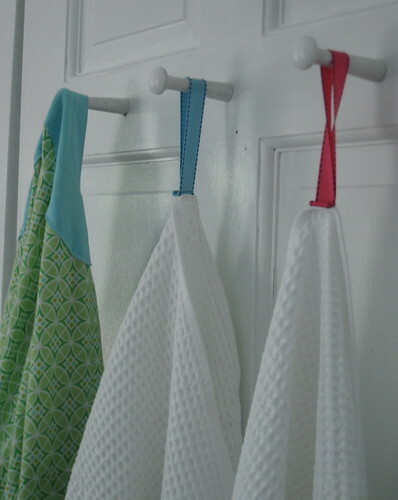 For the hanging problem I attached three hooks to the back of each bedroom and bathroom door. I found these great shaker pegs at American Woodcrafters Supply. 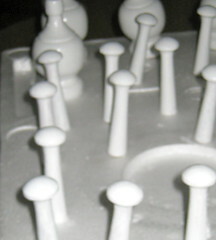 I used a old piece of styrofoam to hold the pegs while I painted them and while they dried. 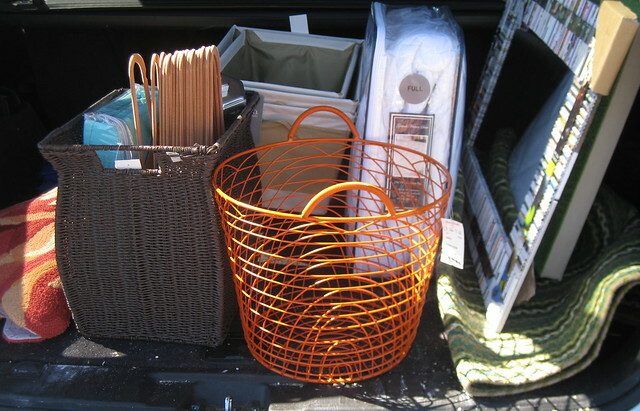 For the identification problem I headed to JoAnn's where I bought grossgrain ribbon in a bunch of different colors. 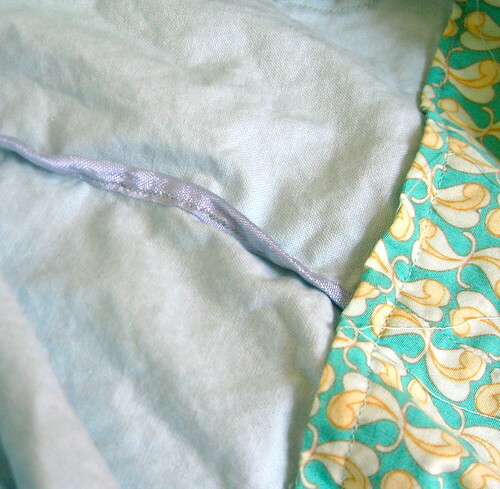 I sewed a loop of ribbon to each towel (using a different color for each towel). Now the only problem is remembering what your color is!